This entry was posted in Jordan on January 25, 2019 by rubazubi. Books have always fascinated me, especially those that told stories. As a child, my mother read bed time stories that took me to other galaxies. I managed to start reading on my own when I was three, thanks to my parents’ love and big library, and I still read stories insatiably. I’m sure I’m not the only stories-addict… but, why? Why do people like to read stories: stories of others whom we neither met nor knew, stories of joy and misery, stories of love and death, stories that happened and those that still wander in the future? Honestly, I never gave that much thought until lately… and specifically until after my TEDx talk (TEDxArarStreetWomen – the first women TEDx in Jordan). Being forced to write and then tell a story of ‘Me’ is beyond any other experience I ever lived. The combination of stress, joy, memories and emotions was overwhelming. It is as if my life was put on hold and every single moment would pass by as if it is re-happening all over. Suddenly, I felt re-discovered… it was scary and enjoyable at once. There were moments when I felt I had no story worth telling… and then in a few hours, I would feel that strong urge to unlock my soul and let it all out. Of course, at the end, it must be in between… I chose to talk for 9 minutes only! Undoubtedly, the story of another human impacts us somehow, whether consciously or unconsciously. A story well-told is like a time watch… it could take you across ages – backwards or forwards – and puts you on the same road and in the same seat as any of the story’s main characters. There were stories that I didn’t want to finish, and there were others that I wish I forget forever. To tell the story of another might require imagination, empathy, research and intellect. However, to tell the story of ‘Me’ requires an open mind and soul, and lots of emotion-ization. While I strive to learn how to manage and control emotions especially those related to the most unforgettable moments and situations, within a week, I deployed a reverse process to emotion-ize all data and information. I learned how to weave the mind, heart and soul into a story worth telling. I thought that was it! I prepared the talk and rehearsed several times. I’m ready for the big day, I thought. Sitting there in the theater hall watching and feeling every talk was another experience. The 17 other women (and man) sharing their stories of ‘Me’ left me awestruck for days. Obviously having the mind, heart and soul present helped me travel in every story’s time watch to live with every single speaker throughout her story. I smiled, laughed, cried and wow-ed for hours. The story of ‘You’ awakened a new dimension of ‘Me’ that was put to sleep. I know now that ‘We’ shouldn’t listen when we are told to disconnect the mind, heart and soul… emotions are never too much. I know now that every story is worth telling. I want more than ever to make every day a visible thread in my colorful story. With love to TEDxArarStreetWomen and all the women around the globe weaving a story every moment. 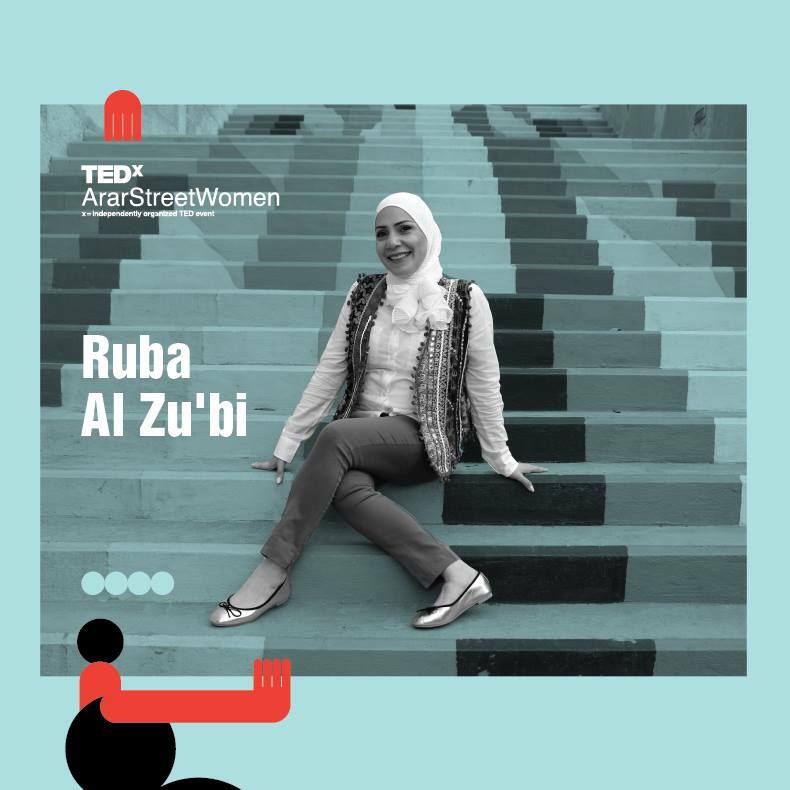 This entry was posted in Engineering, Green, Jordan, leadership, Ruba Al Zu'bi, women, القيادة, ربى الزعبي and tagged Arar Street, community, development, engineering, Jordan, Leadership, Ruba Al-Zu'bi, TEDx, Women on December 7, 2018 by rubazubi. 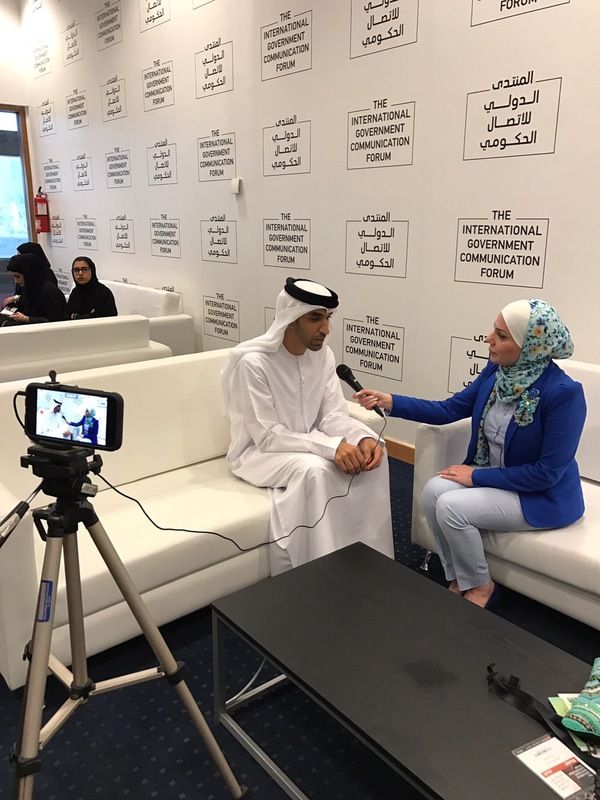 This entry was posted in Arabic, Development, economy, Environment, GlobalGoals, Jordan, Ruba Al Zu'bi, SDGs, SocialGood, Sustainability, youth, الاردن, ربى الزعبي on August 15, 2017 by rubazubi. The key drivers for greener built environment in the Middle East are economic in nature. Green and energy-efficient buildings are getting traction in the region due to increasing energy prices and the need for energy efficient and affordable energy solutions and practices within the construction sector. Large real estate developers find in this a new marketing and PR tool that contributes to their bottom line and to demonstrating their commitment to sustainable development goals and environmental responsibility. From the supply side, suppliers and service providers find new business opportunities in this market transformation and this has become a driver for new services and materials. Transformation in the built environment requires change on the demand side that triggers change on the supply side. Consumer behavior and preferences are the key driver in the market. Understanding what shapes the various consumers’ preferences in various communities and countries would help make the green change more sustainable. The data on buildings performance and the social, economic and environmental impact of such performance is hardly available. Deploying ICT solutions to enable monitoring and verification is another market enabler and opportunity for local businesses and professionals. Finally, establishing a local green buildings industry is what would sustain the green movement. Leveraging local resources and guiding local innovation towards green building solutions should be the focus of the future. Awareness raising is usually the long-term investment in behavioral change. When it comes to greening the real estate sector, there are several target groups across the supply chain that require different forms of awareness raising. Starting from architects, designers and developers and passing by electro-mechanical and construction engineers, towards contractors, material suppliers and consultants. Each of those has a different need and mindset and would require creative messages and tools to join the green movement. The financial implications on short and long terms are usually important to include in addition to other factors like health, comfort, and environmental stewardship. Communicators need to work with green professionals in order to design awareness campaigns that can lead to behavior change. 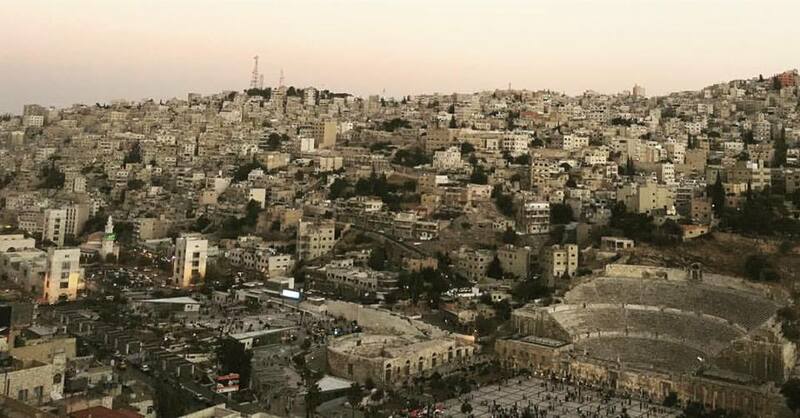 Jordan is one of the non-oil-producing countries and is striving to achieve ambitious energy efficiency and renewable energy targets to overcome its energy challenges. In addition, it is one of the world’s most water-scarce countries. Green buildings are one of the key enablers for green jobs, energy savings and clean tech innovation. Today, Jordan is the home for 19 LEED registered buildings of which 7 are already LEED Certified Buildings (4 Gold, 1 Platinum and 2 Sliver). The sector is attracting many professionals to get certified and penetrate local and regional markets as LEED professionals. To date, 164 LEED Green Associates and 53 LEED APs exist along with a Jordanian USGBC Faculty member; many of which are working on projects in the region. The government as well as private sector and NGOs have strong appetite to enable this sector through advocating for greener building codes and effective enforcement of codes and regulations as well as building capacity and raising awareness among various target groups. Donors and international agencies are supporting these efforts especially within the energy sector support programmes through technical assistance and pilot projects. While cities like Amman embarked into green buildings as part of their sustainability strategies and adopted some incentive schemes to promote green building practices; the country still needs to move towards greening other cities and anchoring such direction within various municipalities. This entry was posted in Engineering, Environment, Green, green economy, Jordan, Ruba Al Zu'bi, Sustainability, الاردن on July 24, 2017 by rubazubi. Ecotourism in Jordan is witnessing a multi-dimensional evolution from pure economic opportunities to a wider industry that embraces environmental and community-based development as core elements. Responding to the local, regional and international traveler’s preference, ecotourism provides a perfect platform for responsible sustainable businesses to utilize green investment and community empowerment in creating niche services and products. The scarcity and uniqueness of natural resources in the MENA countries, including Jordan, are becoming a competitive advantage that opens new doors for eco and adventure tourism. Social and green innovation is another dimension that triggers new ideas for micro and small businesses supporting job creation and income generation for locals especially youth and women. While investors usually look outside for market trends, the ecotourism sector provides valuable opportunities at home. Jordan was one of first Middle East countries to realize the socio-economic value of its diverse and unique environment. Since the 1960s, Jordan took serious steps to protect its natural environment through the establishment of the Royal Society for the Conservation of Nature (RSCN) which is mandated to establish and manage protected areas. In 1993, and through the establishment of Dana Biosphere, Jordan positioned ecotourism as a key cluster that mainstreams economic and social development within environmental protection. Today, Jordan has 10 natural reserves that provide the tourist with exceptional experience in enjoying nature and helping communities. 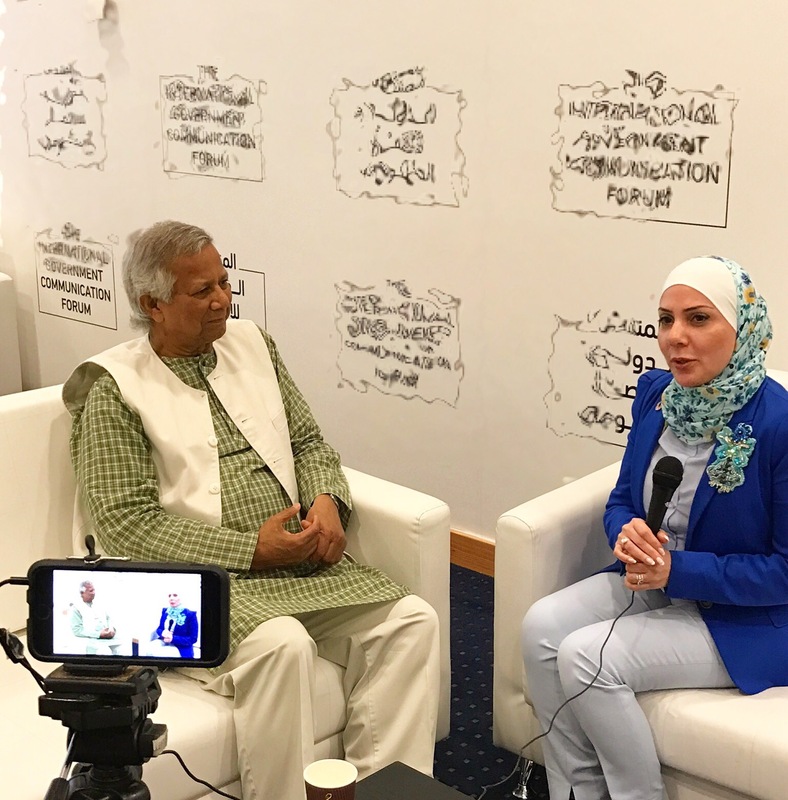 Jordan’s experience in ecotourism has gained global recognition and became a model for partnerships between the government, NGOs and local communities. RSCN figures indicate that its ecotourism projects generated JD1.5 million (around USD 2.1 million) in 2015, when 175,000 people visited the nature reserves, 65 per cent of whom were foreigners. For ecotourism to flourish and achieve its development vision, several enablers need to be in place including soft and hard infrastructure. Governments, private sector and international agencies would need to work together to provide a conducive legal and regulatory framework, access to land, financing instruments, local human and institutional capacity development, attractive investment climate as well as convenient and affordable transportation. In addition, enabling more local innovation and social entrepreneurship would really be the added value to sustain the future of ecotourism in MENA region. This entry was posted in Jordan on April 7, 2017 by rubazubi.